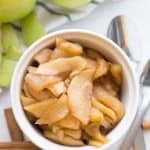 These Crock Pot Cinnamon Apples are the best treat during the cooler months! 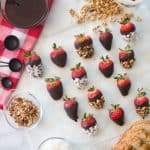 Best served them with vanilla ice cream! This is a sponsored post written by me on behalf of Cooked Perfect® Fire Grilled Chicken. All opinions are 100% mine. These Buffalo Ranch Chicken Fajitas are packed with flavor, but a breeze to make! 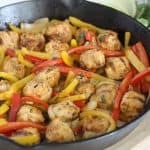 As an added bonus, this whole dinner takes under 30 minutes to prepare! 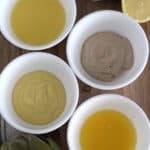 Overnight oats are the best no-cook overnight breakfast idea! 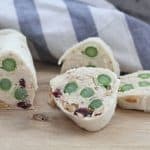 You can customize them with oats, chia seeds, fruit, greek yogurt and more making them the best on-the-go breakfast option! 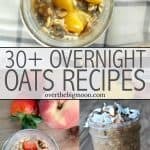 You’re sure to love multiple of these Overnight Oat Recipes! 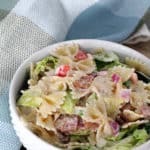 This BLT Pasta Salad is like a BLT Sandwich without the bread! It includes bacon, lettuce and tomato mixed in with bowtie noodles and lettuce topped with creamy ranch dressing. 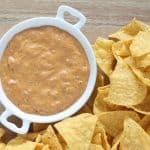 This 3 ingredient Quick Queso recipe is one that you’ll keep handy. Perfect for parties, potlucks, BBQ’s or Tailgating! 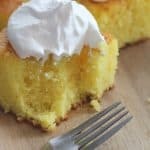 This light and fluffy Lemon Jello Cake is the perfect summer cake! 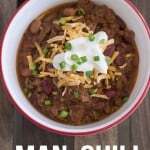 It’s a family recipe that most haven’t heard of and people quickly become lifetime lovers of it! 4 Tasty Artichoke Dips that make eating an artichoke even better! Lemon Butter, Mayo & Balsamic, Garlic Butter and Honey Mustard – one of these is sure to win you over.